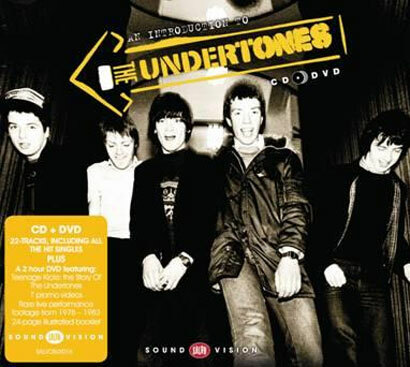 Irish group The Undertones are celebrating the 35th anniversary of their classic track ‘Teenage Kicks’ by releasing ‘An Introduction To The Undertones’, a 22 track CD and 2 hour DVD collection. Due for release on the 3rd of June, the set will feature a 22-song CD which includes the tracks ‘Family Entertainment’, ‘Teenage Kicks’, ‘(She’s A) Runaround’ and ‘Hypnotised’. It will also include 7 promo videos and rare live performance footage from 1978 and 1983 including TV performances from The Old Grey Whistle Test and The Tube. Also included in the collection is a documentary in which the late John Peel travelled to Derry in order to meet the band and discuss how they kicked off their career. John had been a fan since the release of ‘Teenage Kicks’, announcing it to be his "favourite record of all time" on Radio 1 before playing it twice in a row. The one hour long film charts the band’s rise to fame and includes footage from 1979’s Northern Irish Shell Shock Rock documentary and France's Chorus: The Undertones ' Live at Le Palace (1980). The group, which consists of the O’Neil brothers John and Damien, Michael Bradley, Billy Doherty and Feargal Sharkey, formed in 1977, jumping onto the nation’s screens on Top Of The Pops and going on to have eight top 10 singles.